David Tamulevich began his musical career in 1975, with the formation of the award-winning duo Mustard’s Retreat, with which he still performs. After touring full time for nearly ten years, and looking to raise a family and be on the road less, he cut back on touring (now doing about sixty shows per year) and focused on agenting and management of other artists. He was instrumental in developing the careers of John Gorka, Ani DiFranco, Greg Brown, Dar Williams, and Ellis Paul, as well as the late Stan Rogers and Kate Wolf, among many others. 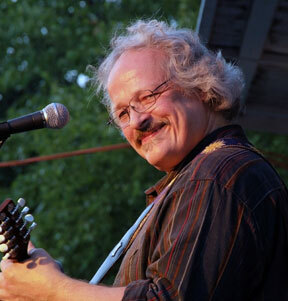 A founding member of the Folk Alliance, he also serves/has served on the advisory boards of Sing Out!, The Ark, The Eighth Step, Common Ground and The Saturday Light Brigade. David is considered one of the preeminent agents in the field by artists, managers, and venues alike. Known for his honestly and integrity, he is not only credited with helping to establish the current folk circuit, but also for redefining the traditional artist/agent/venue relationship as more of a cooperative partnership based on mutual long-term objectives. He has presented many workshops on a variety of topics related to touring/management/recording, and his articles “Working With An Agent“, and “Finding An Agent” are widely considered touchstones of the field, and widely used by artists, managers, record companies, educators, and others. In Oct. 2008 he was presented with a Lifetime Achievement Award by the Midwest Region of the International Folk Alliance. Read some of the music industry testimonials about David.